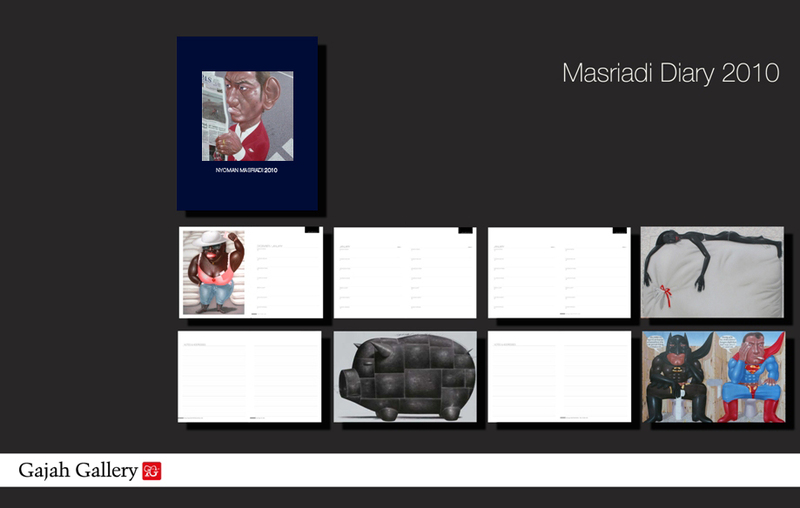 Gajah Gallery closes 2009 with the launch of our 2010 I Nyoman Masriadi and Yunizar diaries. The 102 page hardcover diaries features 28 full colour reproductions of work from each artist's oeuvre. Some of the included works are in private collection and the diaries offer art-lovers an opportunity to view them. The diaries, which make practical gifts for yourself or a friend, are now available for sale from Gajah Gallery at SGD$30.00 each. If you are interested to view or purchase them, please drop by the Gallery at MICA Building #01-08, or email art@gajahgallery.com for more information.